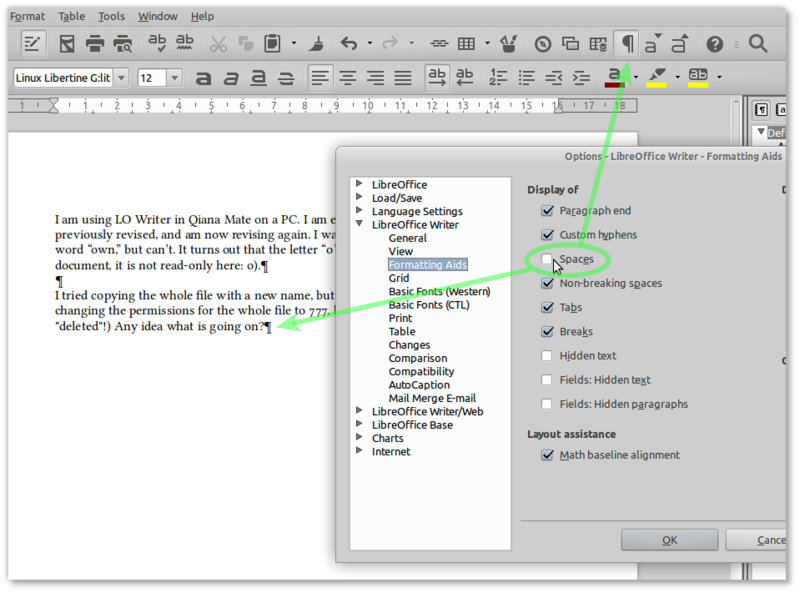 I am using LO Writer in Qiana Mate on a PC. In previous versions I could use Autocorrect to show paragraph marks only. Now my only option is to use the non-printing character feature. I find it highly undesirable because it also displays dots in blank spaces, which is highly distracting. Is there any way to show paragraph marks only? This works perrfectly! Many thanks!